If you spend any length of time going through my clip art site, you will know that it is intended for children and the individual teachers who work with those children. These kid-friendly images delight the young and the not-so-young. 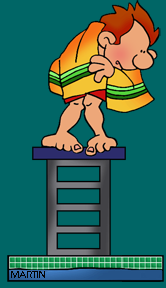 The images are not meant to be on any other clip art site. If you see them elsewhere, please inform me. They are not meant for your Pinterest collection. They are not to be on a commercial site unless I am paid commercial fees. Businesses, Organizations, School Districts and NGOs pay their employees. It is customary that any illustrations created by any artist should be purchased or have prior written permission before use or it is considered a violation of copyright. Many people, teachers included, want to use my art on projects they want to sell. If you think about that, I made the art for classroom teachers to use with their students for free. Selling projects with my art is contrary to the whole point behind my art. If a classroom teacher wants to give the projects away, like I have my art, that follows the intent behind the art. If you want to use the art commercially, I'm happy to earn a living. Commercial use is use of my art for commerce. If you have a fund raiser, a project to earn money, a worthy cause where money is involved, a website, menu, poster, t-shirt, or banner where you want to use my art, just contact me. If you have doubts or questions, feel free to ask. My Clip Art on this website is Free for classroom teachers to use in their classrooms for student worksheets, on blogs and school websites, and other NON-COMMERCIAL uses. It is not to be added to any product that will be sold on TeachersPayTeachers.com or any other online teacher store, blog or website where teachers are selling products unless there is permission granted or fees have been paid for commercial use. If you wish to use my Clip Art on products that will be sold, there are fees for each piece of art. Thank you for respecting my terms of service and copyright laws. © Phillip Martin 2005 – 2017. All rights reserved.